Download "Activism for All: Breast Cancer Action's Legislative Toolkit"
With Breast Cancer Action’s Legislative Toolkit, you’ll get the resources, information, and tools you need to engage your legislators about vital issues related to breast cancer and demand they take a stand for the health of women at risk of and living with breast cancer. History proves that we are stronger when we raise our voices together. Your story can make a difference. 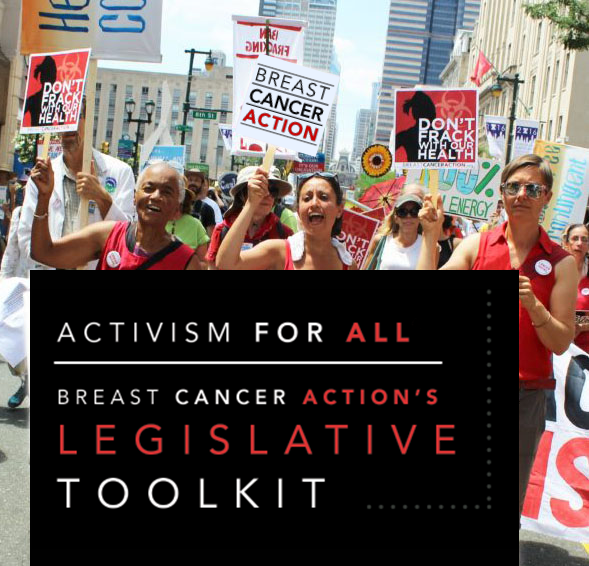 Activism for All: Breast Cancer Action's Legislative Toolkit. Register for your Legislative Toolkit by entering your info below!